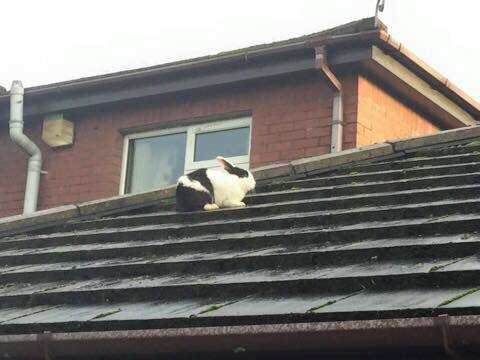 A flying pet rabbit is to be renamed Gertrude after the storm that blew it up onto a roof in Northern Ireland. 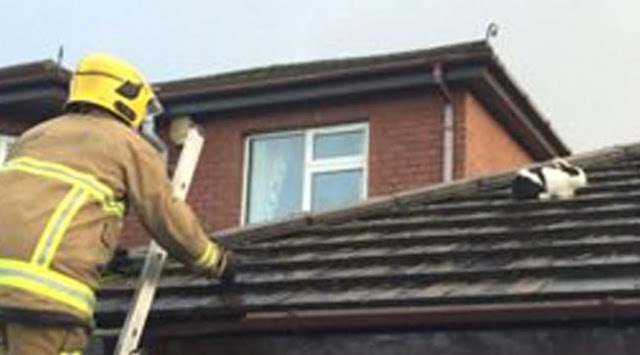 Firefighters rescued the bunny, formerly known as Bumper, after it was unexpectedly deposited on top of the Omagh residential home where it lives. 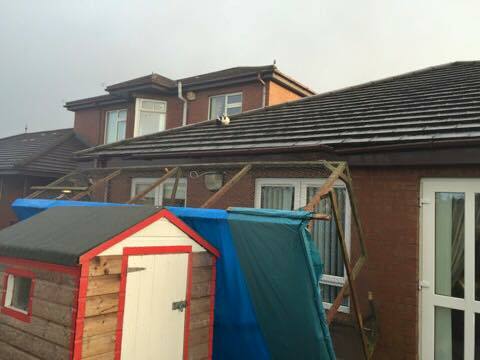 It appears the pet’s “hare-raising” experience was due to not battening down the hutches outside the Deverney Road property. A gale force gust swept the animal’s wooden home into the air on Friday morning and sent it crashing toward the building. 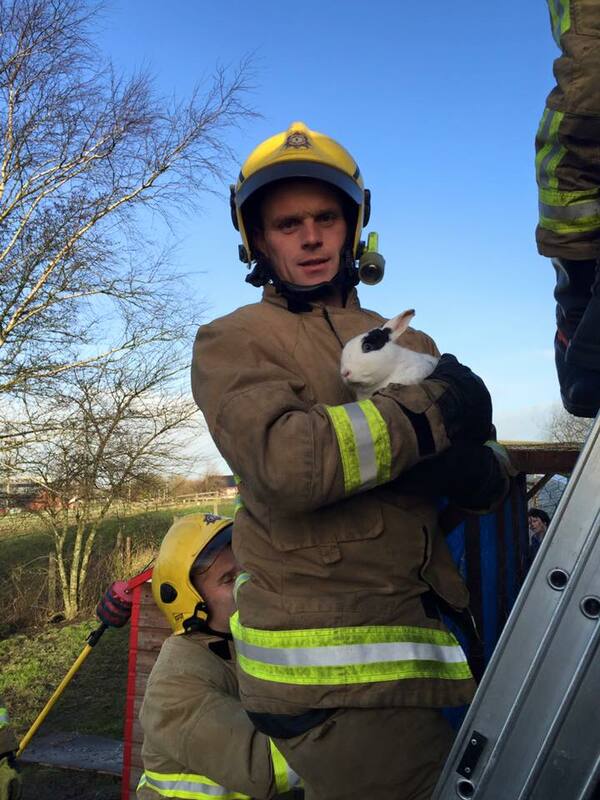 District Commander of Omagh Fire Station David Doherty said the rabbit had a lucky escape. 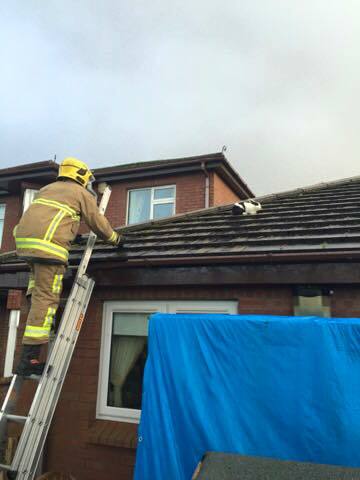 “The wind caught the hutch and sent it flying into the air and it has catapulted the rabbit out of the hutch and onto the roof,” he said. “Now the hutch has come down and smashed, so it was probably lucky for the rabbit that it did come out.” “They are going to re-name it Gertrude now after the storm, because of the adventure it’s had,” he said. Responses to "Gust Of Wind Blows Bunny Onto Roof — And Firefighters Run To Her Rescue "
That handsome fire fighter gets my vote. Should be on "rescuers and critter" calendars.